This dynamic duo is a perfect case study of why opposites attract. Drying Mask targets existing breakouts to clarify angry, acne-prone skin, and Healing & Soothing Mask works to restore essential hydration and comfort compromised skin. When paired together, the two masks help keep skin in check—encouraging a clearer, healthier-looking complexion. How to use them together: Start with clean skin. Apply a thin, even layer of Drying Mask on breakouts or acne-prone areas only. Wait 15-20 minutes for the mask to dry, then rinse thoroughly with warm water and follow with your targeted treatments or Anti-Acne Serum. Use Healing & Soothing Mask the day after to restore balance to your skin. Keep skin clear with this blackhead-busting combo. Botanical Exfoliating Scrub gently buffs away all the dead skin cells, excess oil, and surface impurities so Silver Powder can work even more effectively at purifying pores. How to use them together: Gently massage Botanical Exfoliating Scrub in circles all over (except the eye area, of course!) for 30 seconds, then rinse. Dampen a cotton ball or pad, dip it directly into the Silver Powder, and press the paste to congested areas (like your T-zone). Let it dry for 5-8 minutes, then remove with your favorite toner. 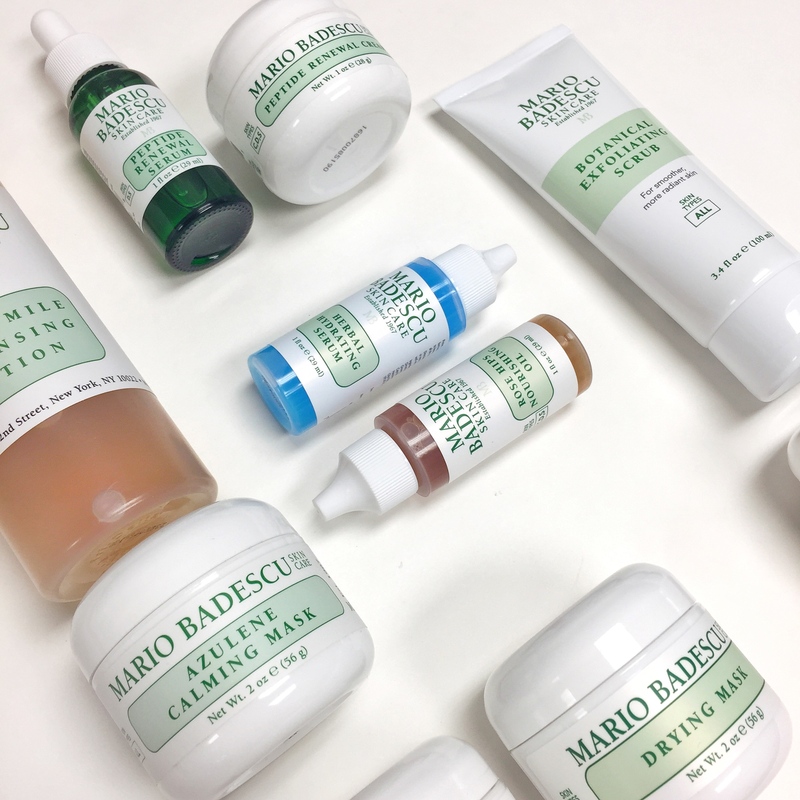 #MBSkinTip: Save 15% when you grab our Polish & Purify kit—which includes Botanical Exfoliating Scrub and Silver Powder, both full-size! You’ve got Herbal Hydrating Serum, a super lightweight, water-based gel that gives skin a dewy glow. Then there’s Rose Hips Nourishing Oil, a Rosehip-infused facial oil that absorbs quickly into the skin to instantly replenish dry areas and add radiance to dehydrated skin. Both are gorgeous formulas on their own—but together? Magic. How to use them together: The beauty of this combo lies in its ability to be fully customizable to your skin. Mix them together and you create a lightweight, hydrating serum that you can wear alone or layer with your favorite moisturizers or face creams. Feeling a little dehydrated? Add a drop of Rose Hips Nourishing Oil to Herbal Hydrating Serum and pat it on any dry patches. Skin looking dry as the Sahara desert? Mix equal parts of both (or more of the oil) and apply all over, then follow with your favorite face cream. Products that were formulated together, stay together. Peptide Renewal Serum and Peptide Renewal Cream were designed to complement one another—and while each can be used on its own, this powerful peptide duo works synergistically to target visible signs of aging and support skin’s elasticity. How to use them together: After cleansing and toning, apply 1-2 drops of Peptide Renewal Serum to your face, neck, and décolletage, then layer Peptide Renewal Cream on top. For sensitive skin in need of calm and comfort, this is the perfect product pairing for you. Azulene Calming Mask is the mask our salon’s aesthetician’s keep on hand just in case a client has reactive skin. Also on hand at every aestheticians’ station? Chamomile Cleansing Lotion, the gentlest toner in our line. How to use them together: Apply Azulene Calming Mask all over or in targeted areas, then wait 15-20 minutes. Once your mask has set and is ready to be removed, liberally mist your face with Facial Spray to soften the mask, helping to avoid unnecessary tugging or pulling on delicate skin. Rinse off the mask, then follow with Chamomile Cleansing Lotion to further balance and soothe your skin.